The significant increase in mechanical machining costs has led to a reappraisal of the importance of the technological characteristic of steel machinability. 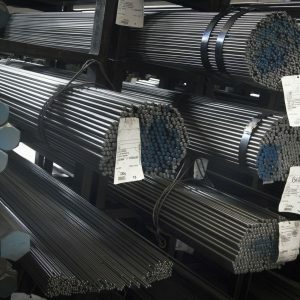 In order to achieve higher automation and cost competitiveness, a series of steels commonly known as free-cutting steels (S – mum 0.10%) are increasingly being used. 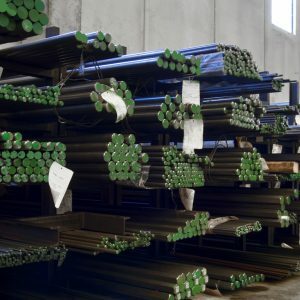 Special leaded steels differ from the normal structural, quenching and tempering and case-hardening steels due to the presence of Pb (approximately 0.15-0.35%) in order to improve their machinability. These steels offer excellent chip removal and are particularly suitable for large production volumes. Lead has a very good lubricating effect and, combined with the heating produced by the tools, breaks chips thus allowing for higher productivity resulting in more advantageous production runs. It also guarantees lower tool wear. It is known that lead does not have any influence on the mechanical features (longitudinally) of cold-processed steels, while it has proved that it helps reduce up to 20% the fatigue limit of steels treated for R 1600-1800 N/mm2. On the contrary, the use of lead worsens the steel’s mechanical features in the tangential direction, therefore designers will need to take this phenomenon into account by selecting more load-bearing sections. These steels are not suitable for the manufacture of gears due to their lack of toughness in a transversal direction. They allow for machinability increase of up to 25-50%, depending on the type of steel used. It should also be noted that they are difficult to weld and whenever this operation is indispensable, the use of special electrodes is recommended to avoid cracking and porosity of the welding beads.